Hey Cotopaxi is active again! 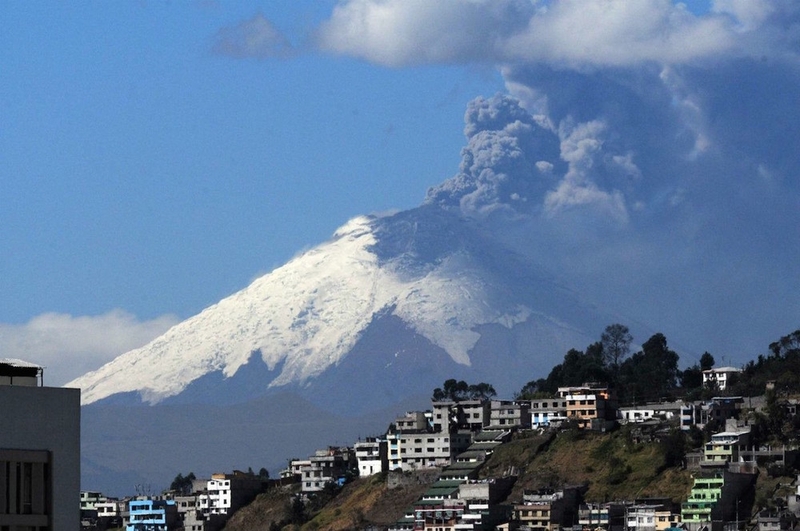 In August, Cotopaxi started jetting smoke and ash for the first time in 70 years, leading the country to declare a state of emergency, with the possible evacuation of hundreds of thousands. Here is what it’s like living nearby in Latacunga, which was destroyed in a mudflow in the last major eruption in the 1870s. 1 Comment on "Hey Cotopaxi is active again!" I was stationed in Latacunga in 1962 with Peace Corps Ecuador 3. Things were difficult even then especially for the indigenous population. Sorry to hear that people are leaving and tourism has dried up. Thank you for the posting.